We understand that buying at auction can be intimidating and sometimes confusing, especially for bidders who cannot be in the auction hall in person. There are many questions that a potential buyer needs answered before they feel comfortable participating in the auction process. One of our primary missions is to provide a transparent and enjoyable auction experience for both buyers and sellers. We take extra measures to both expose our consignors offerings to an international market and give our buyer customers the confidence to participate and make purchases, in an auction setting. Below are some of what we offer our customers as well as answers to the most commonly asked questions we receive from new customers about the auction process. 1.) We provide you with professional, clear and well lighted photographs of what you are bidding on. If there is a detail that we know you need to see we anticipate that fact and photograph it. If there is damage or wear to an object we will photograph it for all to see. We will not take a photograph of an objects best angle and hide its worst feature. And if we leave a detail out that you need, just ask and we will photograph that for you as well. We take high resolution photos that can be expanded substantially on our website. 2.) The ability to reach us when you need to. If you have any questions or concerns you can ask us about it and you will get an answer. You may contact us via email or phone. You will be able to speak directly with any of our team. If we cannot answer your question right away we will do so in a timely fashion. 3.) Sales Tax: We have None. Another significant advantage that benefits buyers is the fact that there is no sales tax in NH. This allows buyers to spend 6.5% to 10% less on items that they are competing for than they would for a comparable item in any other state with the added tax. 4.) Previews: In addition to our regular preview times (which are listed for each auction event) you may request an appointment for a private preview. We will accommodate you needs as our schedule permits. We make every effort to give our bidders as much time as they need to examine the objects they are considering bidding on. 5.) 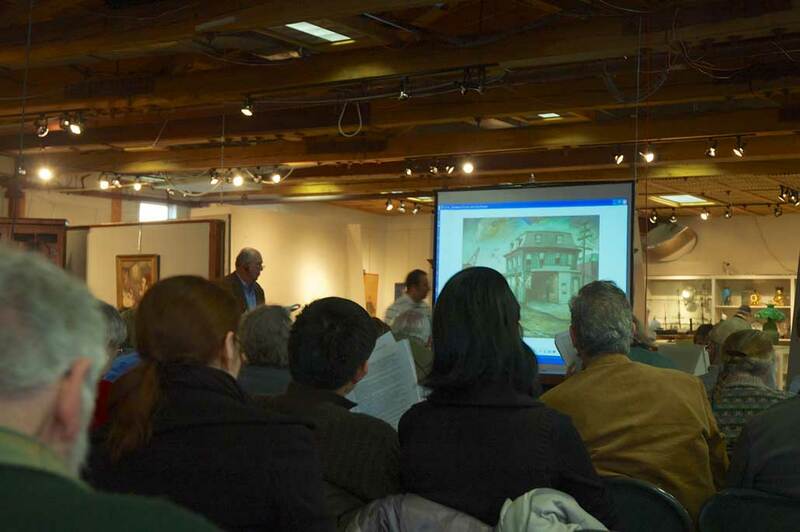 Bidding: The Cobbs Auctioneers offers buyers several different methods for bidding at our auctions. The buyer may choose the method that best suits their preference or needs. A.) 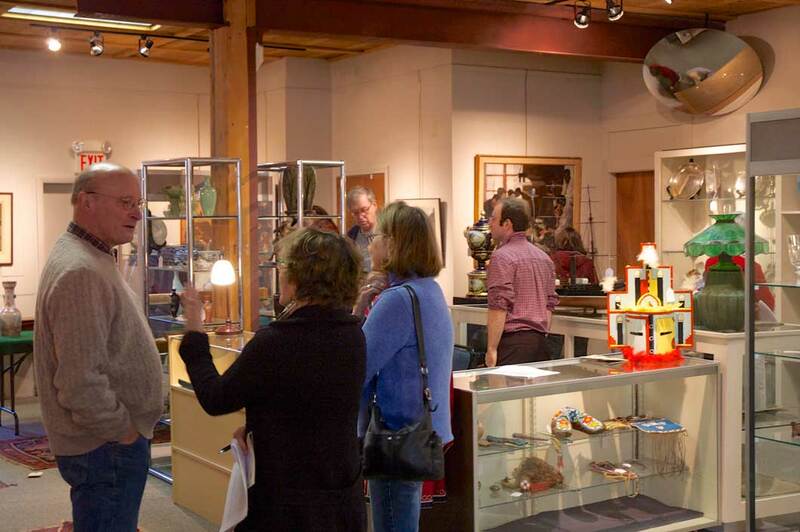 In Person: To bid in person at our auction hall you simply register to bid during a scheduled preview or on the day of the auction. To register to bid please bring with you a valid Passport or Drivers License with your photograph and a credit card. You will then be given our "Conditions of Sale" contract which you must read and agree to prior to participating in the sale. At this point you would be issued a unique bidding number or paddle. B.) By Telephone: You may also arrange to bid with The Cobbs Auctioneers by telephone if you wish. The Cobbs Auctioneers provides 10 dedicated phone lines for live auction bidding on a first come first reserved basis. If you prefer or require a phone bidding line please go to ‘Arrange to Bid” Page or call us and we can fill out the form for you over the phone. Please note that we cannot accept phone bids after 7pm the night before an auction, as we do need time to enter them into our system for the phone bidding team. You may also leave us a back-up bid in case we can’t reach you, this is especially important for our International customers, our phone bank person will execute your bid as a left bid, but only if you cannot be reached by phone. We will call you 2/3 minutes before your item comes up for bid. Please be at the phone number you gave us. If you change your mind, call us before the auction to remove your name from our list. This frees up the phone bank assistant to move on to the next caller. The bidding will start on the floor and our phone bank associate will keep you posted as to what the bids are, then they will ask you if you are interested in bidding at the next increment, a simple yes or no answer will allow the phone bank associate to know whether to keep bidding or to stop. Please know that in some cases our associate must get off the phone promptly to get ready for the next call. On the Monday after the auction we will invoice all bid winners and remit a bill to you. Please leave your phone bids no later than 24 hours before an auction or your bid will be entered manually and will not appear on our computer print–outs, this allows for errors. Remember that the Cobbs executes phone bids as a service to our customers and may not be held responsible for errors or failures to execute bids. Please read our, “Conditions of Sale,” form before submitting bids and enter yes or no on the appropriate field when sending in a bid. * If you are filling out a bidder form on line, please call us to verify receipt of your bid and to give us your credit card number and driver’s license number at 603-924-6361. You may also fax us a bid form, our fax is secure at 603-924-9089. C.) Via Absentee Bids: An "Absentee Bid" is a bid left by a prospective buyer stating to The Cobbs Auctioneers the highest bid that the prospective buyer is willing to commit to on the specified items. The Cobbs Auctioneers will then execute that bid competitively for the buyer just as if that buyer were in the auction hall bidding for themselves. We have a dedicated staff member who executes left bids on behalf of our customers and bids competitively for you. Under no circumstances do we execute your maximum bid and its not unusual for a bidder to ‘win’ an item for less than the bid they left. The only time our staff member will start the bidding at fixed bid is in the case of competing left bids where one bid exceeds that of another’s maximum the next increment will be the minimum opening bid. In all cases these bids are kept completely confidential. You may also place an "Absentee Bid" on items as soon as the item is cataloged and viewable on our website or on one of our affiliate websites invaluable.com or auctionzip.com. Please place your bids no later than 24 hours before an auction or your bid will be entered manually and will not appear on our computer print –outs, this allows for errors. Remember that the Cobbs executes bids as a service to our customers and may not be held responsible for errors or failures to execute bids. Please read our, “Conditions of Sale,” form before submitting bids and enter yes or no on the appropriate field when sending in a bid. To bid online you must register directly with one of these two companies and understand and agree to be bound by their particular conditions of sale and sets of rules, fees and methods of payment which are different from The Cobbs Auctioneers. Please understand that these affiliates are separate businesses and are not regulated by The Cobbs Auctioneers. Shipping is also an additional cost to the buyer and we will be happy to help you coordinate shipping after payment has been completed. Bid Increments – These are the standardized amounts a lot will increases in price after each new bid but they are not set in stone but rather a guideline for what to expect over 90% of the time. We set the increments, which rise according to the high value of the item. Please do not leave bids with cents or uneven amounts. PLEASE NOTE: At the auctioneers discretion the bid increments may be reduced towards the close of a lot if a bidder requests it be "cut". Additionally a listed start price may also be reduced if there is no opening bid. Buyers Premium - An additional service charge, for which the buyer is responsible, will be added to the hammer price. All buyers’ premiums are posted for each auction and listed in all advertisements and mailers. Payment – Payment is due immediately, for out of town buyers your payment is required upon receipt of your invoice. All International buyers will be invoiced and notified by email the next business day following an auction. International buyers must pay by wire-transfer and all pertinent bank information will be included in their invoice. All phone and left bid buyers will be called and mailed an invoice on the next business day following an auction. We accept cash, bank checks, business/personal checks* and in some cases credit cards, (credit cards subject to an additional 4% fee). If you are new to the Cobbs and are planning to make a large purchase we will require bank verification and in some cases references before allowing you to participate in the bidding of certain lots. * Please note that if you send us a bank or personal check your item will not be shipped for 2 weeks. While checks can in many cases clear instantly, fraudulent checks can take up to 10 days for banks to detect and it is for that reason we place a mandatory 2 week hold on personal checks prior to the release of the items purchases. This can be avoided by using alternative payments. Internet Bidders and Payments – All Internet buyer customers will be invoiced immediately following the sale by email immediately and payment is due upon receipt of invoice. We do not accept credit cards for Internet customers. You may pay by cash, Bank check, Cashiers check, Money Order or Wire-Transfer. Please no personal checks.